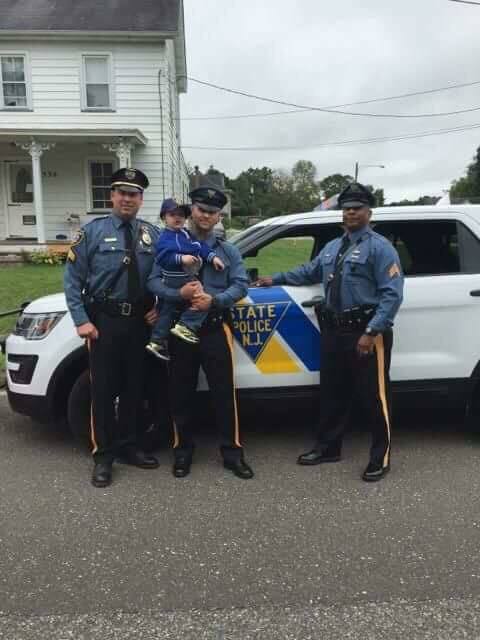 Earlier this week, Sergeant Storm Colleton, Trooper Brian Conover, and an Officer from the Little Silver Police Department traveled to Elmer, N.J. to pay a visit to Benjamin Graham. Benjamin is 3-year-old warrior who is battling an aggressive form of neuroblastoma, which is a type of cancer common in children. 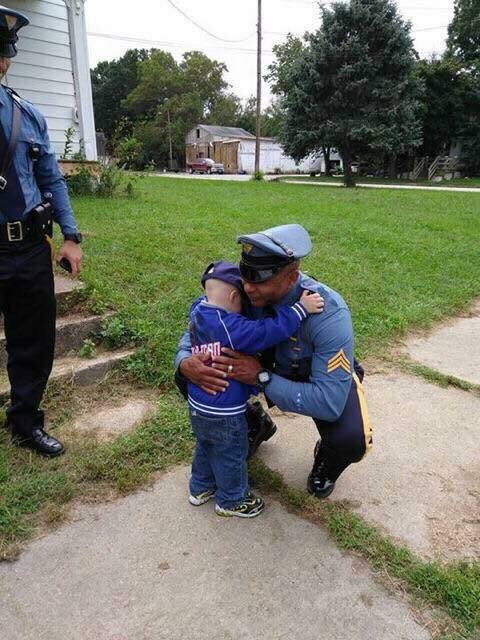 So, the troops and LSPD stopped by to meet THEIR hero, Benjamin. And so, besides getting to try on our covers and sit in the troop and patrol cars, Benjamin was given patches, shirts, and other cool souvenirs! Benjamin and his family remain in our thoughts and prayers, so feel free to keep them in yours.